This white fireclay streamlined rectangular vessel mixes elements of a simple traditional sink design with a bit of modern flair. With clean smooth edges and beautifully curved corners, this sink in true minimalist fashion is sure to be the center piece of any bathroom. Reminiscent of handcrafted dimensional pottery from the American Arts & Crafts era near the turn of the century, Water's Grove features a low relief floral pattern of clematis, hibiscus and Lenten roses with a glaze that gives the relief a highlighted appearance. Here, the design is applied to a Conical Bell Vessels lavatory. 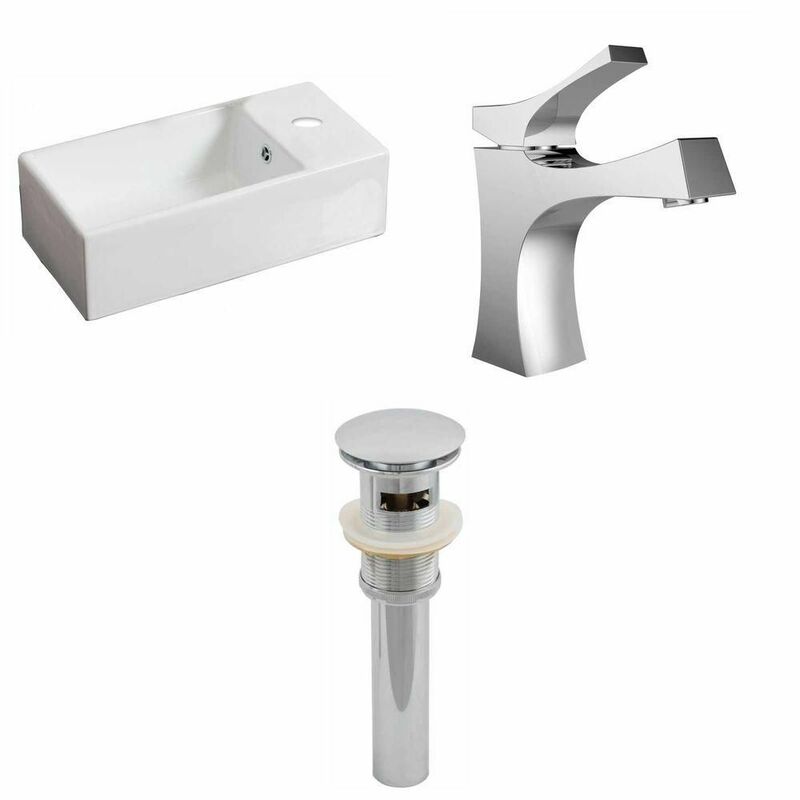 This vitreous china lavatory offers versatile installation options and is without faucet holes; combine with a wall- or counter-mount faucet to complete the lavatory. Also available in store by special order only see store for details. Conceived from the form of a sail in the wind and Japanese ceramic tableware design, the Escale suite takes you on a journey of style to create a clean new look for your bathroom. A timeless classic, Escale combines flexibility with highly distinctive design. Also available in store by special order only see store for details.